So now what? Having created a situation of wild unsustainable extremes, the Fed has taken its metaphorical foot off the gas pedal and planted it on the brake, slowly at first to avoid rattling the markets, but slowly pressing down harder on it, as it desperately seeks to create “wiggle room” for the next crisis by raising rates and scale back its huge Treasury book. This is the cause of the liquidity drain, or Quantitative Tightening (QT). The “little guy” is, of course, blissfully unaware of all this as he gets sucked into the market at the top, believing all the hype about the “strong economy.” Actually the economy is strong; it’s the underpinnings that are anything but strong, like the continually expanding debt, and it won’t be Trump that is responsible when the whole thing comes crashing down–the causes of this impending crisis go back to way before Trump showed up on the scene. A massive liquidity drain is going on behind the scenes that will starve the market of funds to continue ascending and cause stock buybacks to shrivel as rates continue to rise–Jay Powell, the Fed Chair, has made it plain that he plans to carry on regardless with this policy, at least until it really hits the fan. 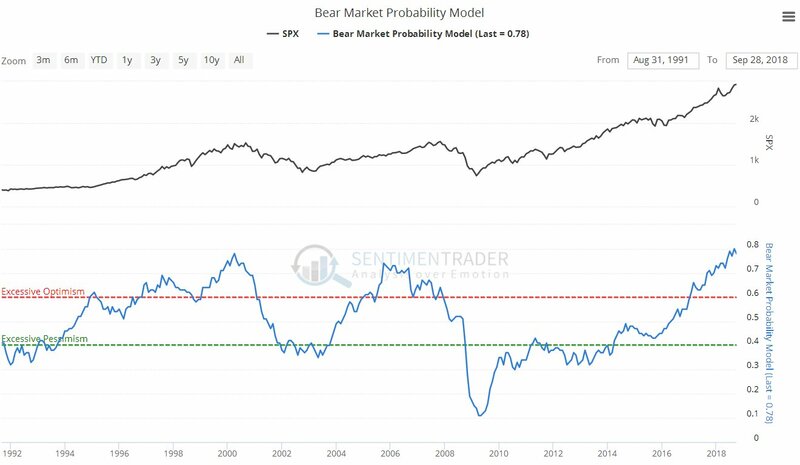 Once players fully comprehend what is going on and that “the jig is up,” there will be a wild stampede for the exits, which is why the market is expected to not just drop, but crash–actually it would be odd, given the situation that is evolving, if it didn’t. 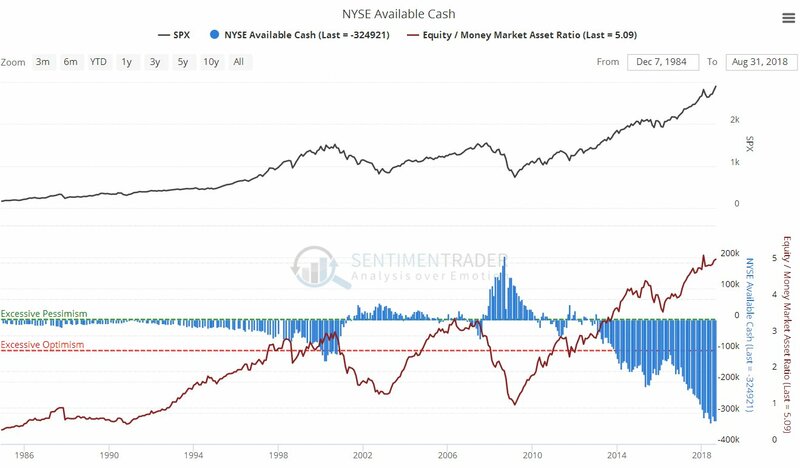 Next we look at the NYSE Available Cash chart which shows the leverage being employed in the market via margin debt. As we can see it is now at unprecedented frightening extremes, which way exceed anything that has ever been seen. 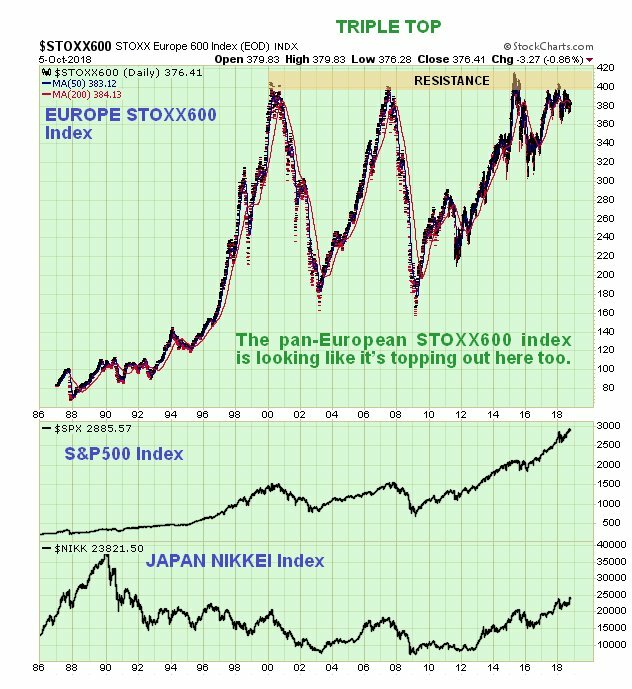 So when this thing really goes down there is going to be a veritable tsunami of margin calls going out–this by itself signal that a brutal crash is not far over the horizon. The Vanguard 500 Index Fund (VOO) rose $3.12 (+1.25%) in premarket trading Friday. Year-to-date, VOO has gained 2.48%. VOO currently has an ETF Daily News SMART Grade of A (Strong Buy), and is ranked #4 of 152 ETFs in the Large Cap Blend ETFs category.